Mattie Griffith’s 15 minutes of fame are still paying dividends nearly six weeks after the video of her baring her Auburn soul in a post-wisdom tooth extraction haze of anesthesia went viral. At least they are for us. 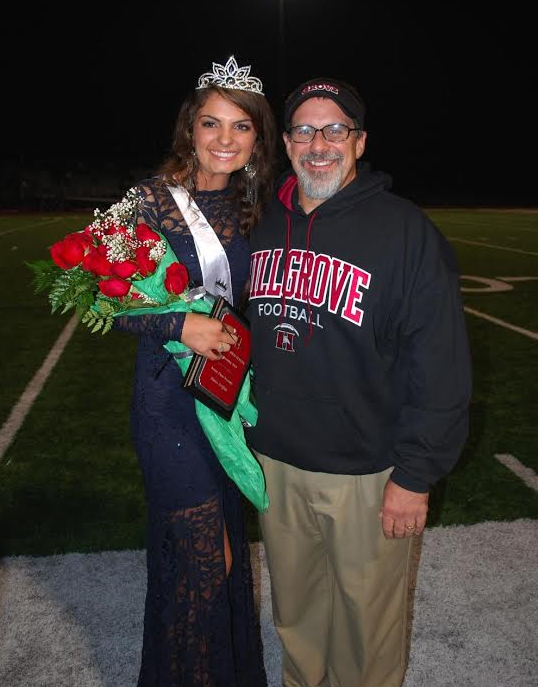 Griffith was crowned Hillgrove High School’s homecoming queen Friday night, and her new-found celebrity was front and center in her introduction during the homecoming court presentation. Griffith, a cheerleader at the Powder Springs, Ga. high school for three years, as well as a trainer for Hillgrove’s football team, was also voted Class Favorite. Homecoming Queen and Class Favorite? That’s pretty impressive (at least I think it’s impressive, I think it’s so impressive), and according to Amy Griffith, Mattie’s mom, a Hillgrove first. Dayton, Royce… eat your hearts out. Here’s Griffith’s Oct. 4th appearance on Fox 6’s Tide and Tigers Today. Related: Teen who poured her Auburn soul out after wisdom teeth extraction recovering nicely, dishes dirt on Dayton / ‘Lion that was hugging that man’ revealed!